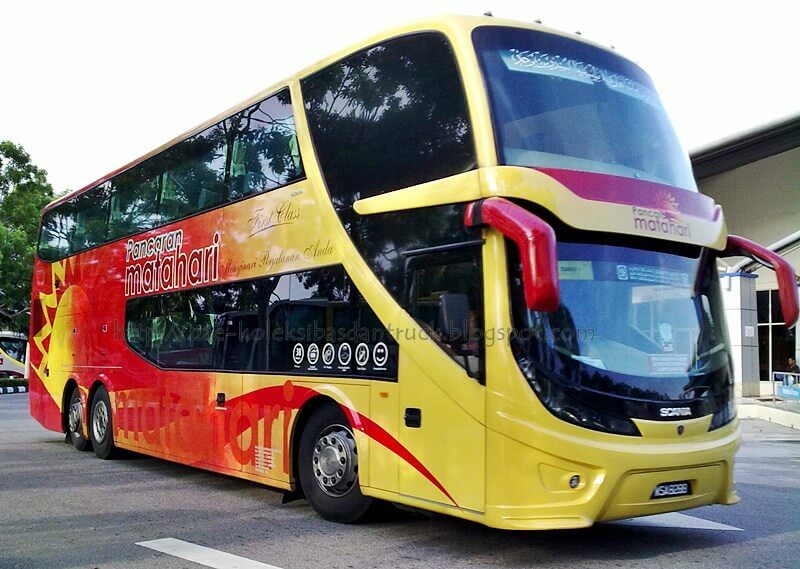 Pancaran Matahari is a rapidly growing operator in the Malaysian express bus industry, covering the Central, Eastern and Southern routes across major cities to small towns within Peninsular Malaysia. Among the many routes provided include, from Kuala Lumpur, Singapore, Alor Setar, Seremban and more. They also operate at multiple bus terminals across the land as well. Hentian Duta and Penang Sentral are just two to mention. These terminals are strategically located, making it accessible for fellow passengers who intend to travel across the said routes. Their coaches are always pristine and clean. They are also fully air-conditioned with comfortable reclining seat and ample of legroom between them for a satisfying bus travel. Their coaches are also equipped with power sockets that appeal to tech savvy passengers that immerse themselves into electronic devices throughout their journey. CatchThatBus offers online bus tickets to many routes covered by Pancaran Matahari as well as seat availability features. You can book your bus ticket online from our website or via mobile app which can be downloaded for free on Google Play or App Store. First time taking the bus. Staff was patient and polite. Ride to Butterworth was smooth and comfortable. the bus smelt fresh and clean. curtain spoil. so i could not sleep in the bus. luggage compartment looks dusty but bus was clean and comfy.